Trendy bracelets for men is the name of the game when we are talking about latest men’s accessories. For a fashionable man, new bracelets for men are an addition to their accessory collection. 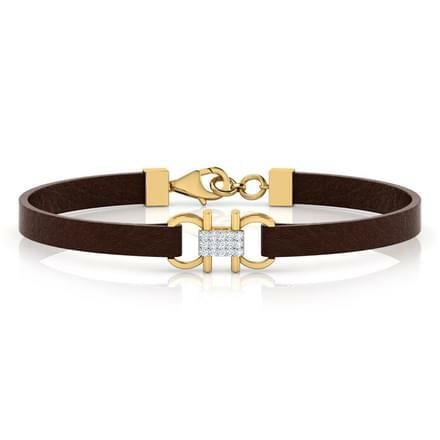 Men have always been reluctant in donning accessories, but gold bracelets or diamond bracelets are indeed a stylish way of trying latest bracelet designs. 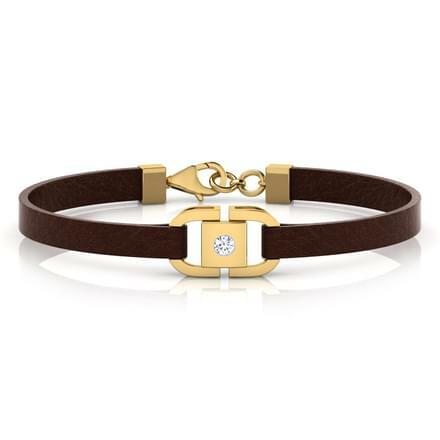 Stylish and playful, gold bracelets are an ideal kind of jewellery men can flaunt and still not feel overdone. CaratLane offers a smart collection of gold bracelets for men, with designs befitting for every look, be it casual, formal or festive. 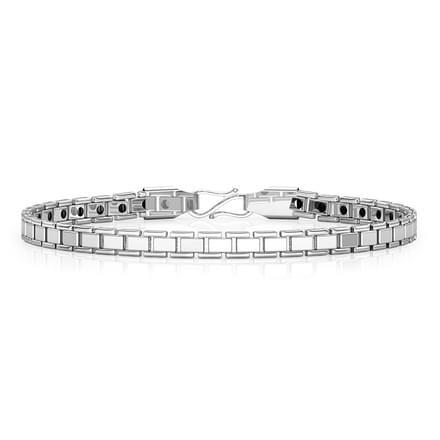 From classic, to contemporary, traditional models of gold bracelet designs, and diamond bracelets are different styles of bracelets on CaratLane which can easily make you stand out. Available in yellow and white gold variants, you can buy from a vast collection of bracelet designs available online accompanied with images and price. Shopping from the gold bracelet collection is affordable also, as the starting price range at just Rs. 10,000. 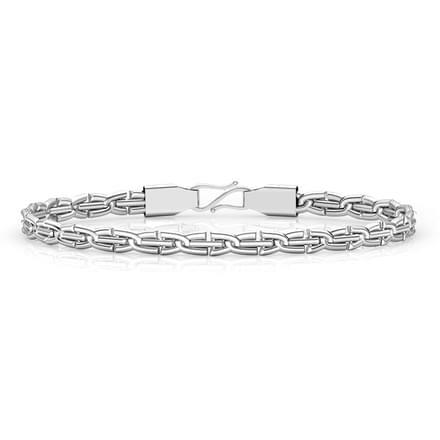 Explore CaratLane’s extensive selection of men’s bracelet designs. 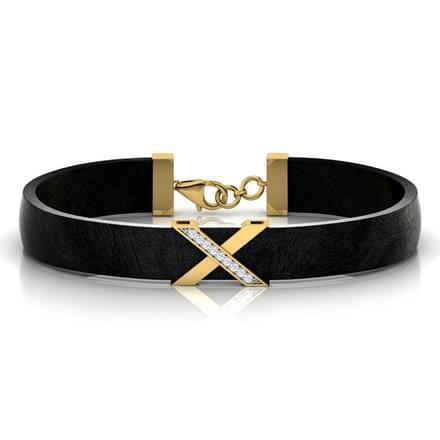 The Mack Bracelet for Him and the Brad Bracelet for Him, both set in 18K yellow gold with diamonds curated by CaratLane are dashing models of gold bracelets for men. They ooze coolness from their awesome design. 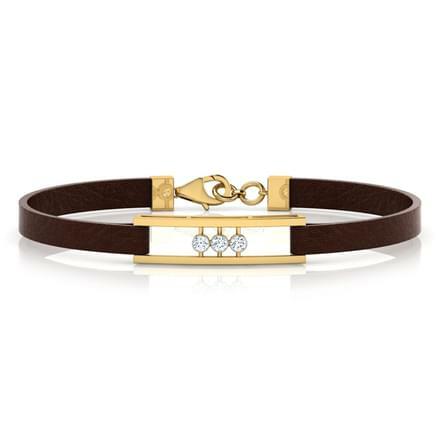 Diamond bracelets for men can be very eye-catchy, perfect to flaunt a suave look. 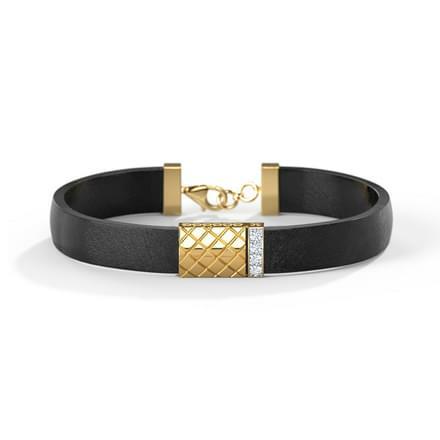 The Ted Bracelet for Him, set in 18K yellow gold with diamonds is also a chic design, which is sleek yet stylish. The slight shimmer of diamonds take the style a notch up. 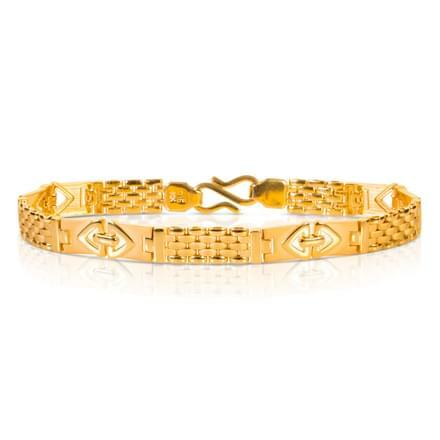 Gold bracelets for men are a classic wedding gift and traditional designs have come a long way. 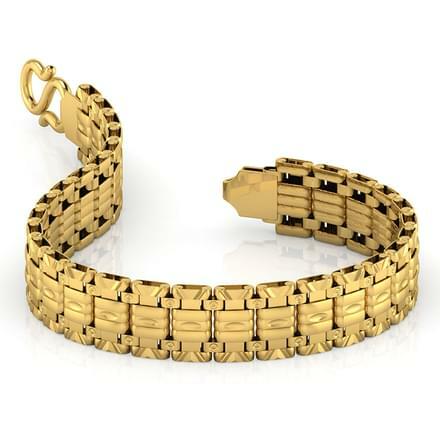 CaratLane has created an impressive collection of gold bracelets for men. 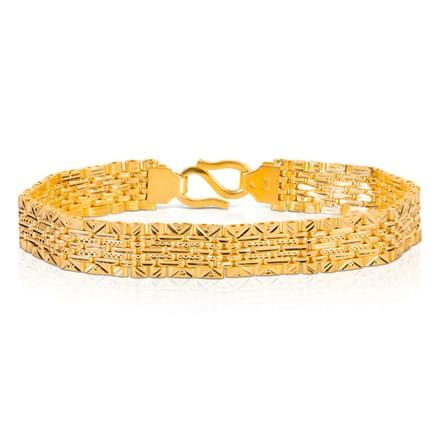 The Etched Pattern Strap Men's Bracelet and the Patterned Strap Men's Bracelet, both set in 22K yellow gold are classy and sleek designs of gold bracelets for men. These designs can easily be sported every day as well. 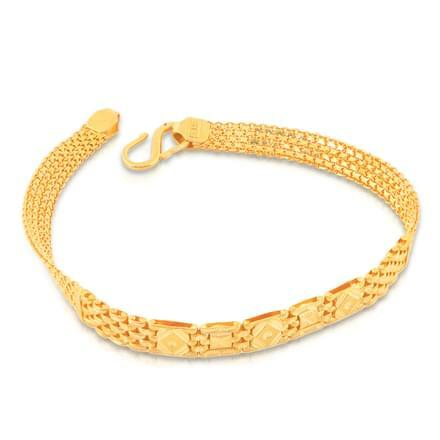 The Ayog Linked Bracelet, set in 22K yellow gold is just the design for men who wish to wear gold bracelets and yet don’t wish to go overboard. 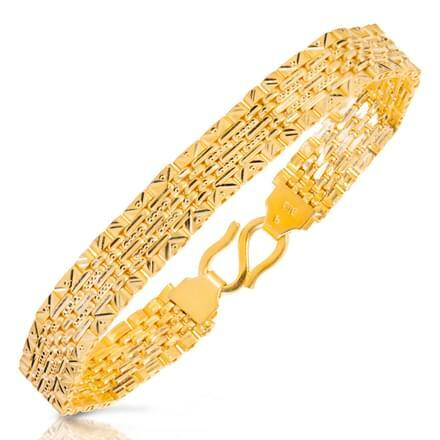 Looking for a bold design of a gold bracelet? 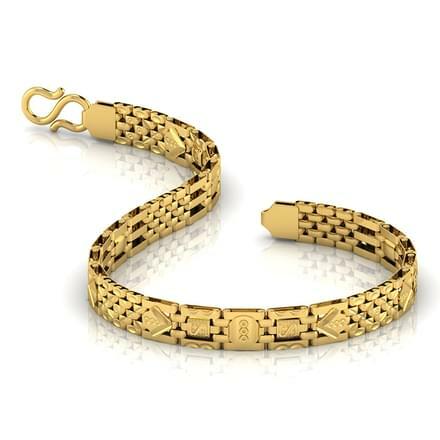 Buy the Geometric Repeat Men's Bracelet, set in 22K yellow gold by CaratLane which is a chunky and outstanding design among gold bracelets for men. 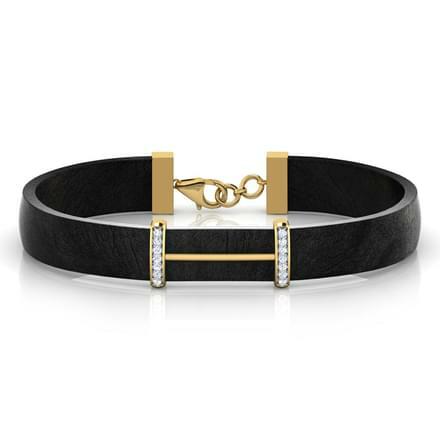 This bracelet is a true style statement for men who wish to flaunt gold jewels. 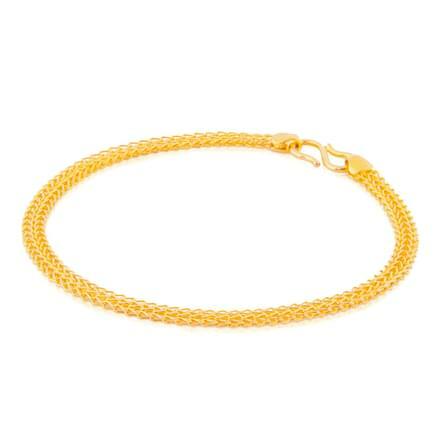 CaratLane’s Ring Linked Bracelet, set in 22K yellow gold is one of the bracelet designs which would be admired by everyone. It is one of the models which fit into the must-have category for men who enjoy their gold ornaments. 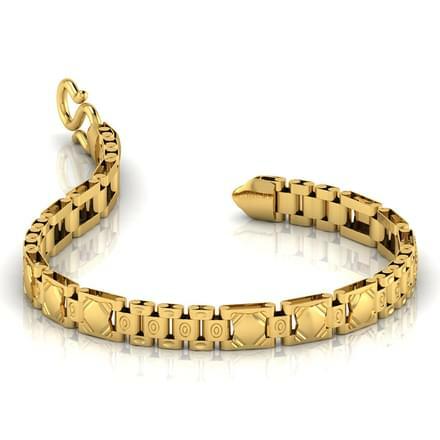 A matchless collection of gold and diamond bracelets for men can be checked out online on CaratLane. Hassle-free online shopping of gold jewellery has been made convenient by this portal, also providing images and price to support them. Customers can make online payments through various modes such as the debit/credit cards, net banking or funds transfers. 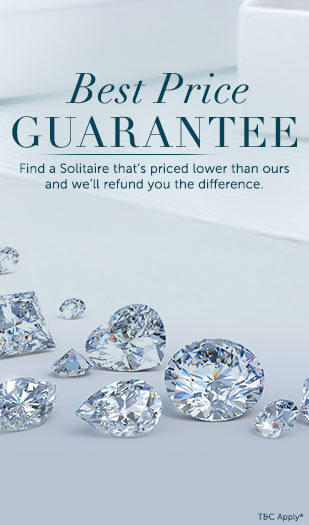 You can also try the jewellery before you pay for them through its Try@home facility. Customers also enjoy the 30-day free return option along with a lifetime exchange policy on all its gold products.